As a kindergartener, her Waldorf teachers told stories in both German and Japanese. Growing up in Hawaii, different languages surrounded young Amy as she learned to navigate the world of language and culture exchange and human connection in a place geographically isolated from the rest of the world. 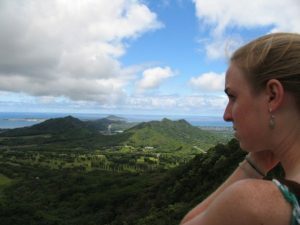 At Punahou High School, she found more language-learning opportunities and Amy began learning French. Learning the language brought with it insight into French culture, which she cultivated through books and different travel opportunities. 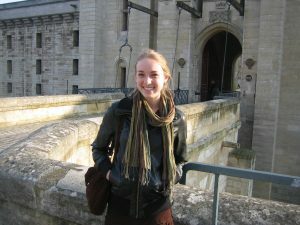 Her education priorities have long been language learning, even as a young student she took a gap year between high school and college to live in France and study the language intensively. 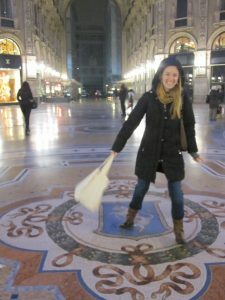 Upon returning to university in New York, she took classes in Spanish and later spent time in Italy, following a dream inspired by stories from her mother. 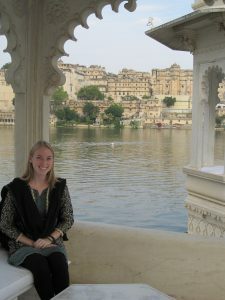 After studying Hindi at university, she also spent a semester in India. Verbal communication is one of Amy’s strengths – the small detail of which particular language you are speaking does not matter. 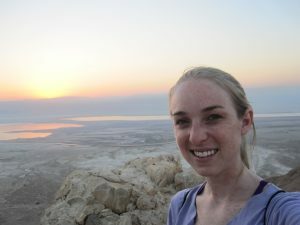 She easily navigates multiple languages and draws from various international experiences in her current academic pursuits. For Amy, language learning should be more than just an afterthought added to high school curriculum. It should be taught from a young age and given more importance at all levels of education. Language learning is essential to collaborative teamwork and to solving the world’s problems – all of which affect humans and rely on humans to find solutions. 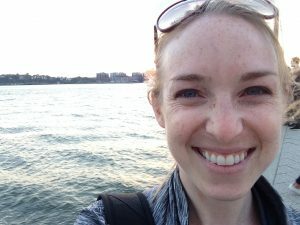 Climate change is an example Amy uses to describe more specifically her perspective. Working to mitigate global climate change needs multilateral cooperation by humans – it has universal effects and therefore requires combined efforts. Language learning has a place in teaching empathy and sensitivity to different perspectives and experiences. Because language is culture and culture frames language, learning another language is a way to facilitate multicultural understanding which in turn plays a role in helping people from different backgrounds get along with one another. Combine a natural ability to learn languages with a passion for intercultural understanding and collaboration and you’ve got a great recipe for an internationally minded advocate for language learning – you’ve got Amy Marcus. Watch out children of tomorrow, if Amy has her way education policy will include more emphasis on languages and you might find her leading the way.